For reading week this year I will be volunteering / helping the museum for the Queens Own Rifles Of Canada, which is located at Casa Loma. I have already gone down, picked up a box of old photographs, a couple of really large framed images that are around 100 years old and I photographed every picture in a photo album from 1959. Aside from scanning, sorting and retouching, I will attempt to colorize a few of these old photos. The image at the start of this post is my first attempt. Im sure that by the end of reading week the retouched images will look even better than this current one. Something that will make colorizing old military photos easy is that I wont need to guess what color their clothing should be. I already have some reference images of uniforms from that time period to source colors from. The vast majority of these photos were taken outside, with further simplifies the guess work regarding what colors I should be using. Should be a good go, i’m into history, and I like a challenge. 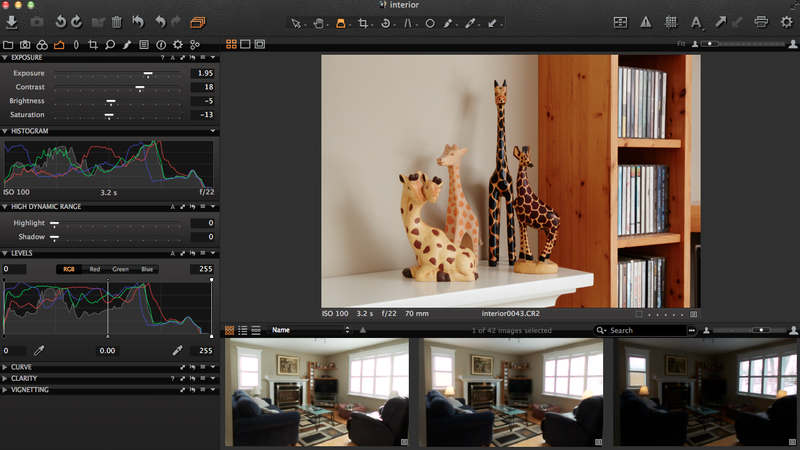 I can also try to do this with Affinity as well, hopefully formulate a decent opinion of the program. I’ll also make an attempt to build a website during my time off. I’ll update you all throughout the week. I Finally entered into the PPOC student photography contest! Now the waiting game begins! The first image I entered was one of a soldier. He is a good friend of mine, Corporal (Cpl) Hall, a reservist from Toronto. The photo was taken on an exercise back in the fall. It was a warm October day, Cpl Hall and the platoon (roughly 20 guys) he was in were practicing attacks and patrolling all morning at the base in Meaford. It was part way through the walk back to the rest of the unit, that we took a break. It was during this break I managed to snap the image of Cpl Hall. A look cold stern look on his face. Camouflage paint worn down from sweat and exertion. We had been on the move since waking up at 05:00 in the morning, and we have been on our feet since, and it was only mid day. He knew that the day was far from being over and sleep was even farther. That night we patrolled through dense bush. Concealed in the black void we made our way to an enemy compound. The attack was swift, deliberate. when the smoke settled, we were already gone. The second photo I entered is the “bolt carrier group” from an old rifle a relative of mine owned. The rifle it’s self was from the German military. Te date stamped into was 1942, and along with each individual piece having a serial number, it had eagle insignias everywhere. 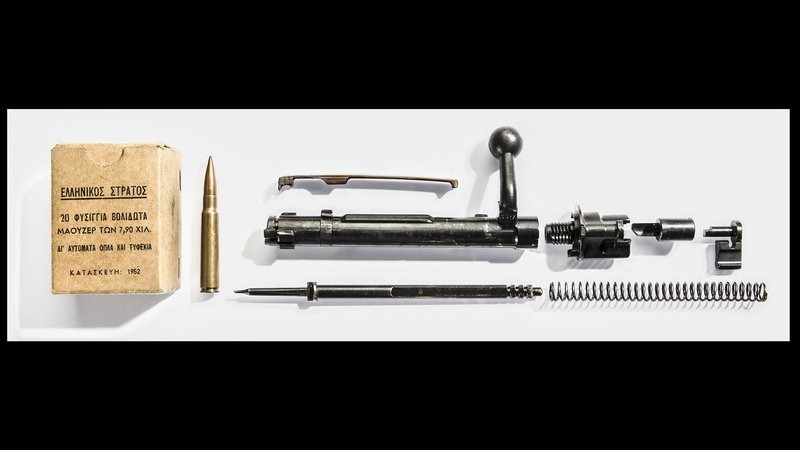 The “bolt carrier group” is where the firing pin is located, held, cocked and when the trigger is pulled, smashes into the primer of a bullet firing it. I took it apart and placed the pieces in relation to where they would be when it is fully assembled. My influence for it came from blue prints and technical drawings. Despite the fact that it is a German rifle from WWII, the ammunition next to it is Greek manufactured from 1952. I came across what I thought was a rather impressive video for a different photo editing program. 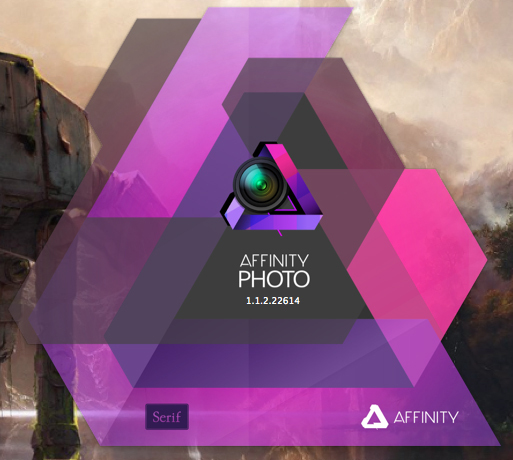 Its called “Affinity Photo”, and its currently in its Beta phase and available for free (for the time being). Its exclusively for Mac users, and its set up identically to Adobe Photoshop and compatible with PSD format files. In the release video it showed very fast and simple masking for editing around hair, which is something I find difficult to do in Photoshop currently. Although that could be because i’m not doing it right. Along with masking, it featured some smart deleting, where they took a photo that had some elephants, selected one, deleted it and the void automatically filled to make it appear like that elephant was never there. I ended up downloading the beta, and hopefully as I have some free time, I will be able to play with it. 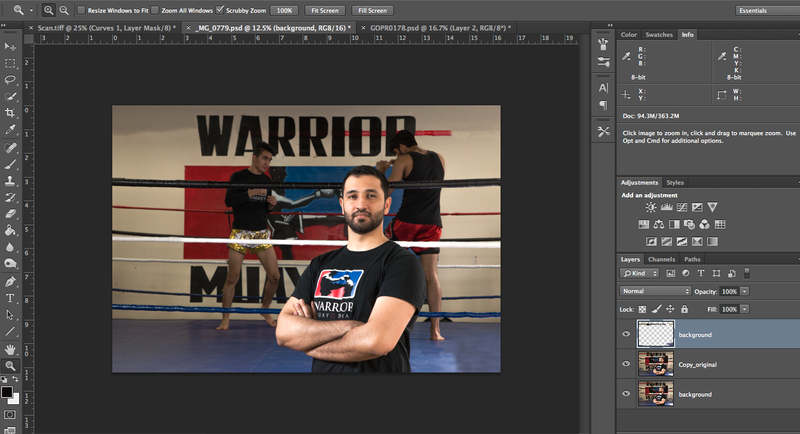 Aside from messing with photo editing software, I did some interior photography for a project that I have on the go. It was a pretty easy shoot and location, as the home has an open concept, giving me a lot of room to set up and frame just the way I wanted to. Aside from having freedom of movement, there were some large windows in the living room that provided some excellent lighting. I didn’t need to resort to using my speedlites. 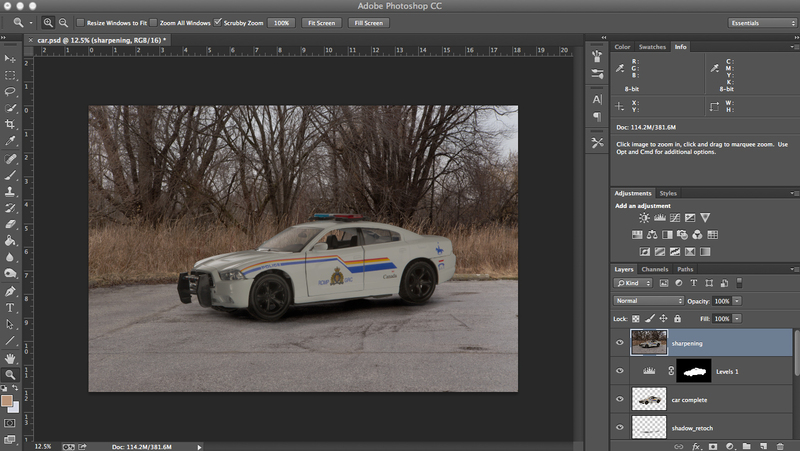 I took multiple exposures and now i just need to mask those together. I’ll tease all of you with a close up from the room. As I have said before with other images, I will have this on my soon to exist website. I’m Currently looking at hosting it through square space, but format and Adobe Muse might be an option. Photo competitions can be a great way to build up my credibility as a photographer. The only catch is I need to place or win in order to get any recognition. Currently I am in the midst of entering several competitions, one of them is with the Nation Professional Photographers of Canada. 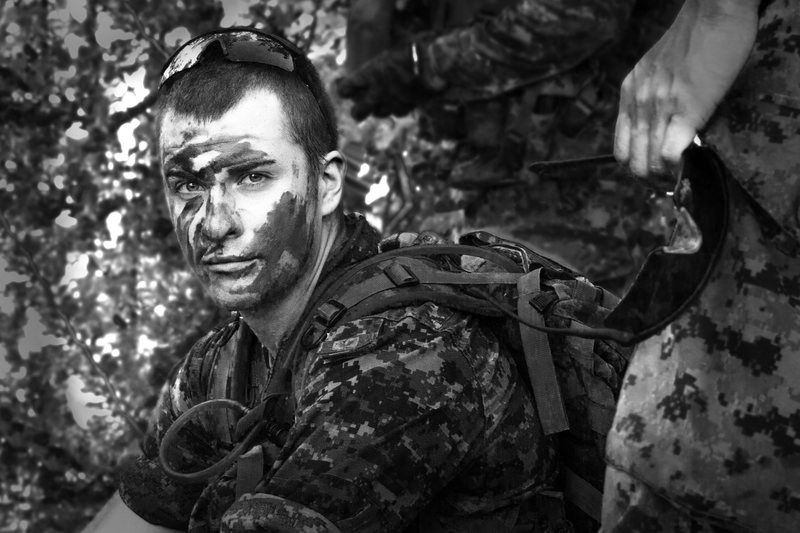 I’m going to be using a photo i took of a Canadian soldier on an exercise. I took it back in the fall. Of course to make it compliant for the NPPC it will be in color and the crop will be different. This week should be interesting, I’m going to be doing some video work and some interior photography. In the next week or two i plan on getting a website with a full portfolio up. Blogging is now something I am doing! Well hello there WordPress and who ever may be interested in listening to me ranting about my ideas and aspiration! This is now my blog (that will eventually at some point be linked into a bio section for my website, which currently does not exist. But it is a thought of mine, and it will exist in the near-ish future. I promise). Here as my posts progress and happen on a regular basis you will find “B-roll footage”, behind the scenes shots, and ideas that are in development. Now that the intro is finished, i guess i will proceed to tell all about today, as it was rather productive. More productive than usual. The random snow dumping we got hit with made for hellish conditions on the road, and as i got on the highway around 05:40 I heard over the radio that Humber college was closed for the day. I took the next exit off, got back home before 06:00, downed multiple coffees and got right to work. Finished my “Car” assignment, added a photo to my 500px account, drew up a story board (for a soon to come video), sent out emails about my internship, got one photo ready for an upcoming photo contest, worked on a recent business portrait I took over the weekend and I got this blog up and running. As mentioned above, i uploaded a pic to 500px, it appears to have been received rather well.